Spencer Quinn is the author of five previous Chet and Bernie mystery novels: Dog on It, Thereby Hangs a Tail, To Fetch a Thief, The Dog Who Knew Too Much, and A Fistful of Collars. He lives on Cape Cod with his dogs Audrey and Pearl. When not keeping them out of mischief, he is hard at work on the next Chet and Bernie mystery. Keep up with him—and with Chet and Bernie—by visiting ChetTheDog.com. Peter Abrahams (born 28 June 1947) is an American writer of crime thrillers. His works include Oblivion, The Tutor, The Fury of Rachel Monette, Hard Rain, The Fan, Crying Wolf, Last of the Dixie Heroes, the Echo Falls Mysteries, and Lights Out, the last of which was nominated for an Edgar Award for best novel. His literary influences are Vladimir Nabokov, Graham Greene and Ross Macdonald. Stephen King has referred to him as “my favorite American suspense novelist”. Born in Boston, Abrahams previously lived in Ottawa and worked as a CBC television producer. 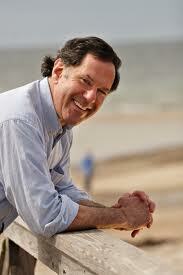 He is currently living in Falmouth, Massachusetts on Cape Cod with his wife and children. YET THEY ARE ONE AND THE SAME. Chet and Bernie head to Louisiana in the next installment in the New York Times bestselling mystery series featuring “a canine Sam Spade full of joie de vivre” (Stephen King) and his human private investigator companion. In the sixth installment of the brilliant New York Times bestselling mystery series, canine narrator Chet and his human partner P.I. Bernie Little are handed a hard case in the Big Easy. When Chet and Bernie happen upon a prison work crew that includes Frenchie Boutette, an old criminal pal they sent up the river, getting a new case is the last thing they expect. But Frenchie, who comes from an old Louisiana family full of black sheep, needs help finding his one law-abiding relative, his brother Ralph, a reclusive inventor who has gone missing with his houseboat. Though he’s tempted to take another job (with a big payday) in Alaska, Bernie decides to set course for the bayous of Louisiana, a trip that will introduce Chet to a world of sights, smells, and tastes that are like nothing he’s ever encountered. Out in bayou country, Chet and Bernie meet the no-good Boutette family and their ancient enemies, the maybe-even-worse Robideaus, and at first it seems as if Ralph’s disappearance is connected to a dispute over a load of stolen shrimp. But when Chet uncovers a buried clue, the investigation heads in a dangerous new direction involving the oil business and an impending environmental catastrophe. The more Chet and Bernie discover about Ralph, the more treacherous the job becomes, and soon they’re fighting not only Big Oil, but also shadowy black ops figures, a violent biker gang from back home, and Iko-a legendary bayou gator with a seemingly insatiable appetite. Meanwhile, deep under the Gulf, the pressure just keeps building. With top-notch suspense, humor, and genuine insight into the ways our canine companions think and behave-all set against a rollicking new Louisiana backdrop-The Sound and the Furry will make you howl in delight. I think it was 2011 that Peter Abrahams was on a seminar panel at Crime Bake. Whatever the topic at hand was, all anyone could talk about was the Chet and Bernie mysteries he wrote as Spencer Quinn and how fabulous they were. I had never heard of them and when I heard they were written from a dog’s point of view, I figured he had written some mystery stories for children. When I heard these were real, adult, mysteries; I decided I was surrounded by a bunch of nuts. But so many very well respected writers said the same thing, I got the first one. And then I got the rest of them. I loved them! 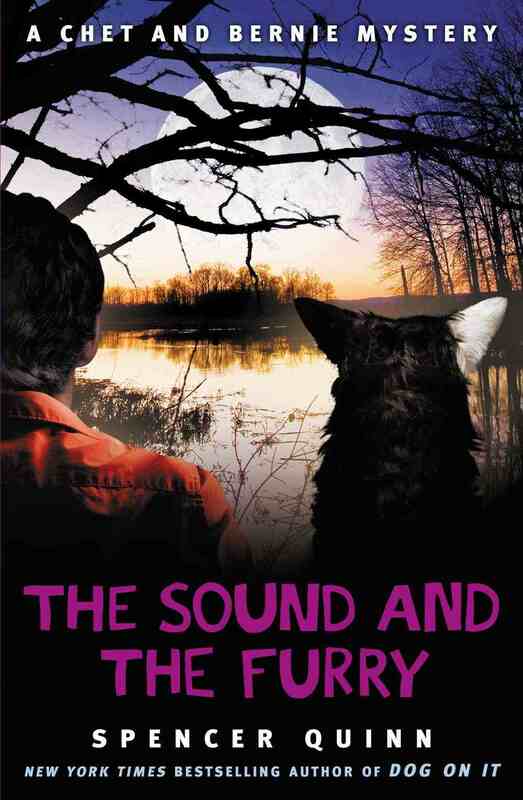 So imagine my excitement when I got an email saying, “You have been granted access to the digital review copy of “The Sound and the Furry” in Edelweiss by Simon & Schuster.” And the latest entry in this delightful series does not disappoint. You might think that the mind of a slightly hyper dog who can’t hold a thought very long and has very little long term memory would get old after a while, but it doesn’t. Bernie Little and Chet ‘pure and simple’ are as delightful in THE SOUND AND THE FURRY as they have been in every book in the series. If you are already a fan, go and pre-order the book now. If you are new to the series, start with the short story, A CAT WAS INVOLVED, to find out how Chet and Bernie met and joined forces. Then get reading all the rest of the series – you don’t have much time, THE SOUND AND THE FURRY will be out on September 10th! This entry was posted on August 26, 2013, in Book Reviews, Reading. Bookmark the permalink. ← BROTHER, CAN YOU SPARE A DIME? The continued screwing of Rhode Islanders.